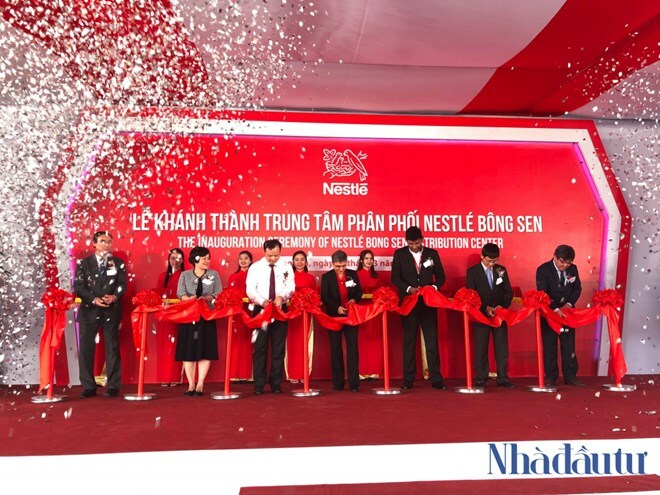 Hung Yen (VNA) – Nestle Vietnam inaugurated its largest distribution centre in Vietnam’s northern region in Hung Yen province on March 12. The Bong Sen Centre, based at Thang Long II urban area in My Hao district, is equipped with leading technologies such as Obiter Robot and SAP, which help optimize storage while reducing workplace risks for workers. Addressing the event, Vice Chairman of Hung Yen People’s Committee Bui The Cu hailed the company for its remarkable contribution to the local budget since it started operation in the province in May 2017. He noted that the new distribution centre will help bring Nestle products to consumers quicker, at lower cost and reduce risks during transportation while ensuring food hygiene and safety. Nestle Vietnam’s Managing Director Ganesan Ampalavanar said the launch of the Bong Sen distribution centre demonstrates the company’s commitment to long-term investment, sustainable and inclusive development in Vietnam. He added that the Nestle Milo brand had recorded an impressive growth in the northern region just nearly two years after the Nestle Bong Sen plant was put into operation in Hung Yen.